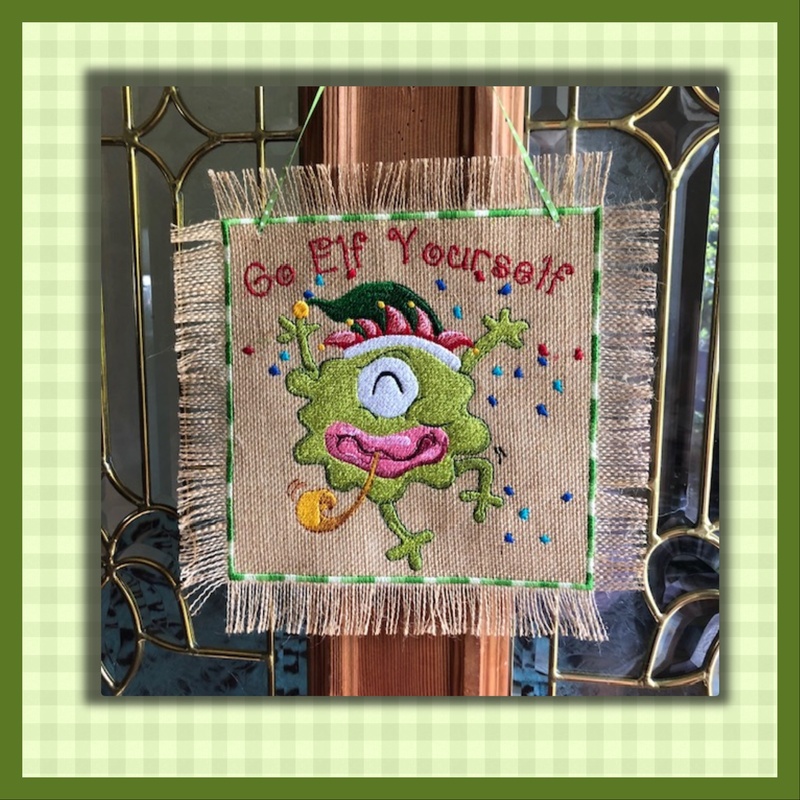 Such a cute little Monster Elf funky fun. 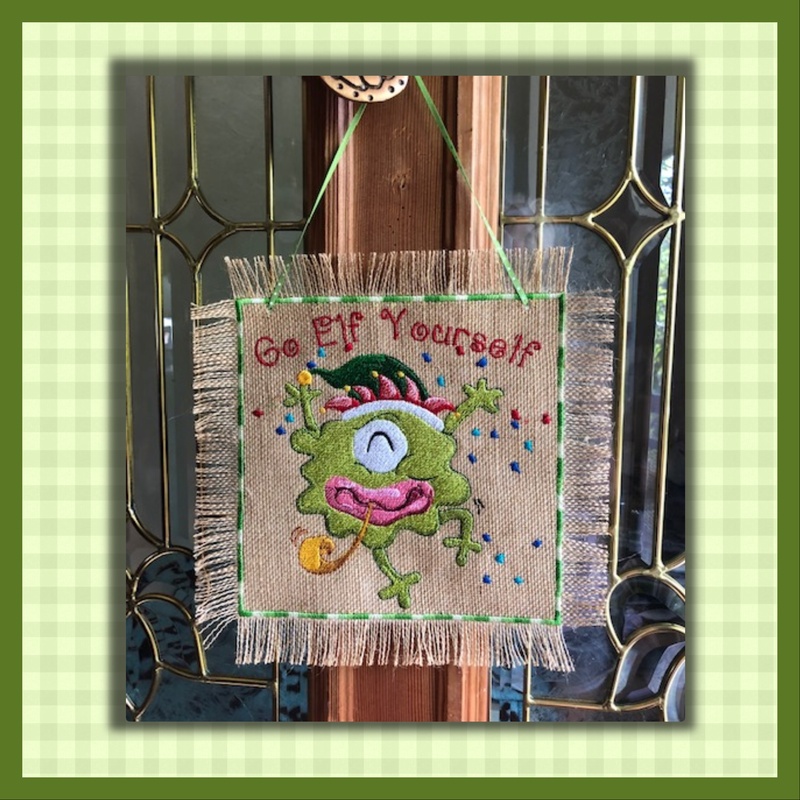 Neighbor already wanted my stitch out for her front door.. So I gave it to her.. Lot of fun for the holiday's. 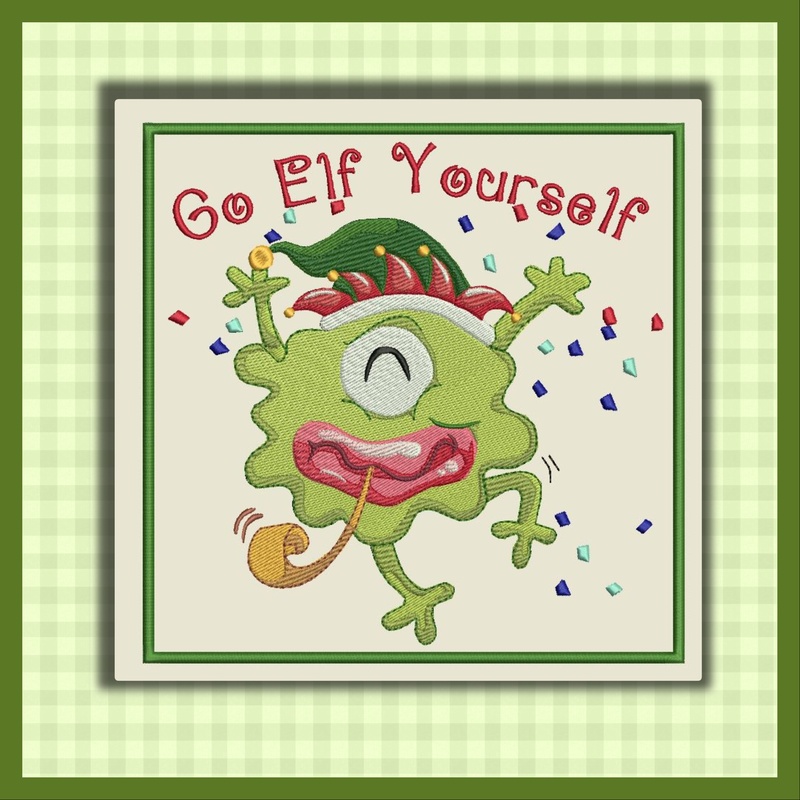 Cute for all ages or gift for those holiday pranksters.